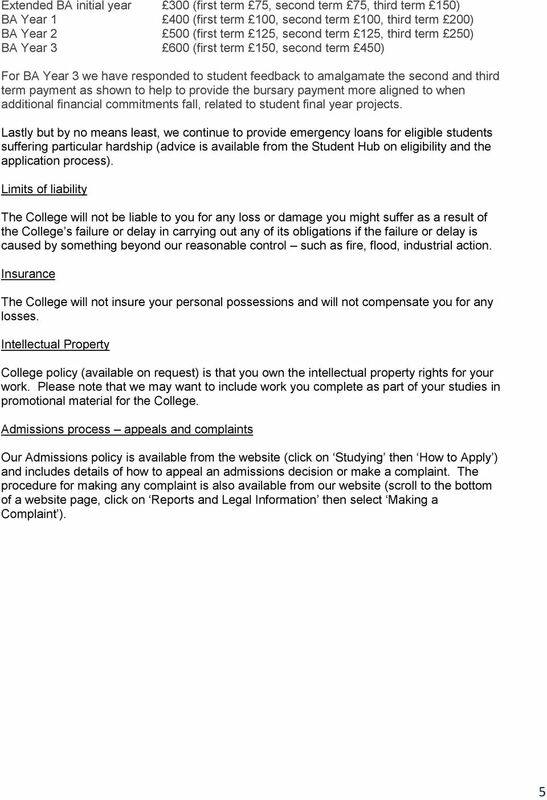 Download "Plymouth College of Art Terms and Conditions for Higher Education students"
1 Plymouth College of Art Terms and Conditions for Higher Education students This document sets out the terms and conditions of the agreement formed between the College and students on our programmes of study. 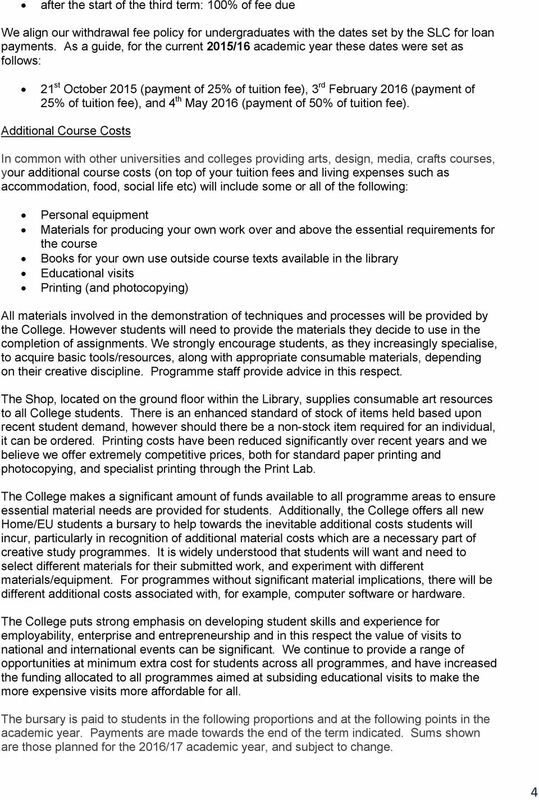 If we make you an offer of a place on a programme of study at Plymouth College of Art and if you accept that offer then the basis of the agreement formed between us at that time is as set out in this document. (Your acceptance of an offer of a place to study with us is subject to a 14 day cooling off period so will not come into effect until 14 days after you have accepted the offer). 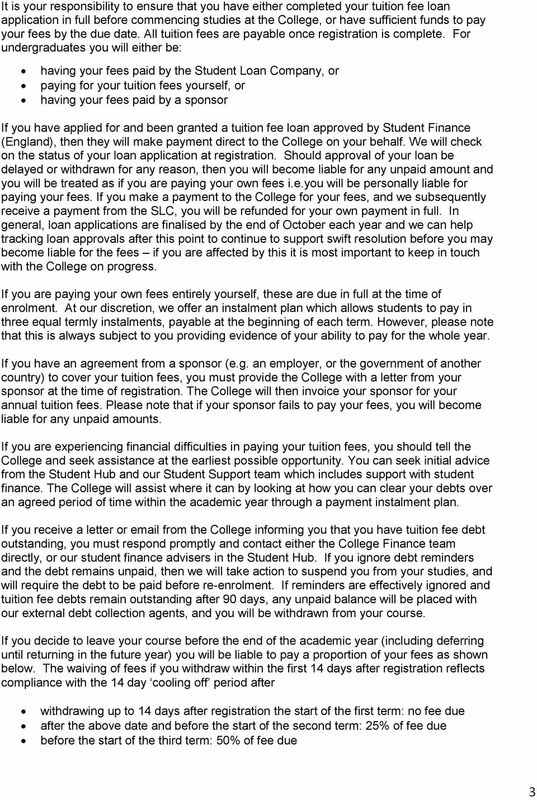 It is therefore important that you read and understand these terms and conditions. 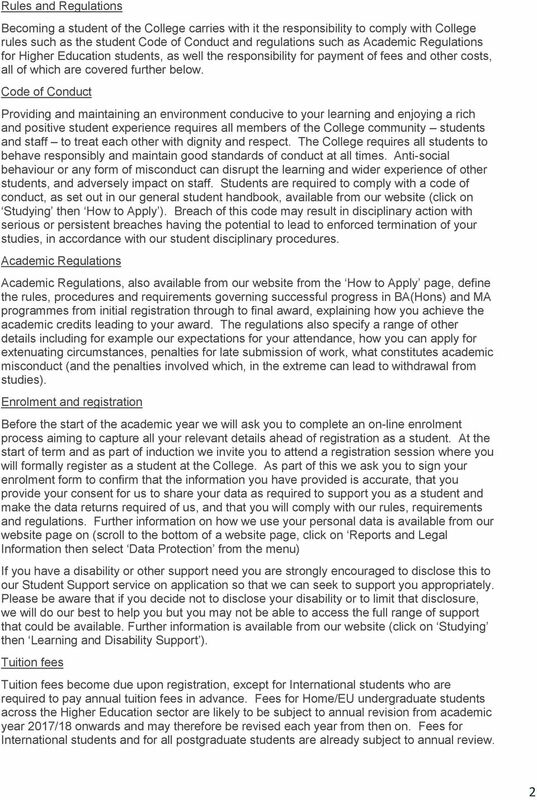 If you would like any further details about any aspect of these terms and conditions please contact Admissions Every effort is made to ensure that information provided during the application and admissions process prior to starting at the College is accurate. This includes information provided at events such as UCAS fairs, Open Days, at your interview with us, and from our website and our prospectus. All our BA(Hons) and MA awards are validated by the Open University which means that the Open University is the awarding body for all our Higher Education programmes that we deliver at the College. 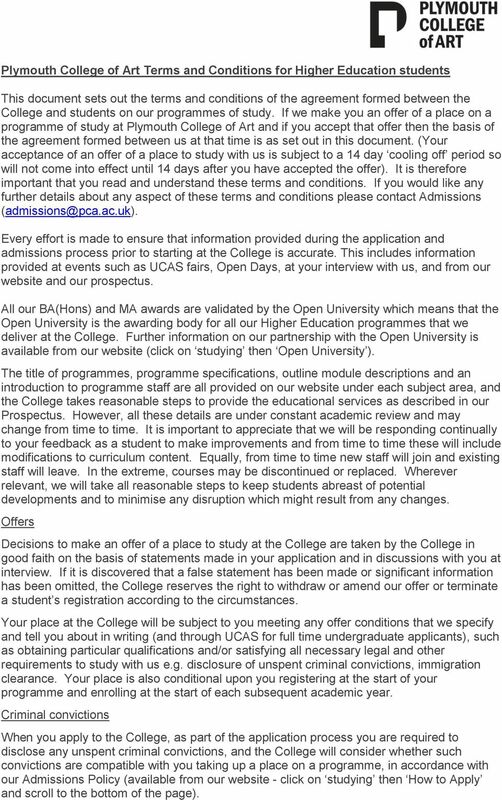 Further information on our partnership with the Open University is available from our website (click on studying then Open University ). The title of programmes, programme specifications, outline module descriptions and an introduction to programme staff are all provided on our website under each subject area, and the College takes reasonable steps to provide the educational services as described in our Prospectus. However, all these details are under constant academic review and may change from time to time. It is important to appreciate that we will be responding continually to your feedback as a student to make improvements and from time to time these will include modifications to curriculum content. Equally, from time to time new staff will join and existing staff will leave. In the extreme, courses may be discontinued or replaced. Wherever relevant, we will take all reasonable steps to keep students abreast of potential developments and to minimise any disruption which might result from any changes. Offers Decisions to make an offer of a place to study at the College are taken by the College in good faith on the basis of statements made in your application and in discussions with you at interview. If it is discovered that a false statement has been made or significant information has been omitted, the College reserves the right to withdraw or amend our offer or terminate a student s registration according to the circumstances. Your place at the College will be subject to you meeting any offer conditions that we specify and tell you about in writing (and through UCAS for full time undergraduate applicants), such as obtaining particular qualifications and/or satisfying all necessary legal and other requirements to study with us e.g. disclosure of unspent criminal convictions, immigration clearance. Your place is also conditional upon you registering at the start of your programme and enrolling at the start of each subsequent academic year. Criminal convictions When you apply to the College, as part of the application process you are required to disclose any unspent criminal convictions, and the College will consider whether such convictions are compatible with you taking up a place on a programme, in accordance with our Admissions Policy (available from our website - click on studying then How to Apply and scroll to the bottom of the page). LEGAL SCHEME REGULATIONS These Regulations came into force on 1 July 2014. 1 Introduction 1.1 These Regulations govern the Union s legal Scheme. The Rules of the Union set out your other rights and entitlements. UK/EU applicants Application Form 2016 entry Use this form to apply for the following courses only: BA (Honours): Acting; Community Drama; Music, Theatre and Entertainment Management and Sound Technology.